Many of the investors who enter the forex market get frustrated quickly and tend to leave trading altogether. They lose not only their money, but also their optimism. There is no doubt about the fact that forex trading – spot, futures or options – does present a great deal of opportunities to investors, but it differs vastly from equities trading and offers far more flexibility. Even a highly successful stock trader might fail miserably if he/she treats the currency market to be the same as the equity market. While the equity market involves transfer of ownership, the forex market is purely driven by speculation. However, new entrants in the field of forex trading can avoid frustration and loss of their hard earned money by taking up the best online forex trading course that is available in the market. When it comes to choosing the best forex trading course, you have to consider the two main categories that are available to you today: Online courses and Individual training. You may compare online courses with distance learning offered by colleges and universities. You learn through PowerPoint presentations provided by instructors, eBooks, trading simulations, etc. A person who is new to forex trading will be moved through the beginner, intermediate and advanced levels of aspects related to currency trading. Most online courses offer the three levels of training. If your knowledge about currency trading is limited, you can opt for this type of a course. The fee for such a course could range from $50 to as much as hundreds of dollars, depending on who is offering the course. Individual coaching would be much more specific and it is, therefore, important that you have some kind of basic training in forex trading. A mentor, usually a successful and experienced trader, will teach you how to implement various trading strategies and also manage risk. Individual training can cost you a great deal of money, anywhere from $1,000 to 10,000. There are an overwhelming number of forex trading courses out there in the market. It is, therefore, a good idea to a few courses that have good reputations. You should never believe the hype that some of the course providers create such as promises of large returns and quick profits. A good forex trading course provider will not make illogical promises. Instead, they would promise to provide useful information and teach proven strategies so that you can employ them and achieve success. In order to judge the reputation of a course, you need to talk to other traders and become a member of one of the best online forums. You can gather more information from traders who have gone through the course you want to take up and are doing well as forex traders. This way you can be sure that you are making the right choice. Often, the best online forex trading courses are those that are certified by a regulatory body or a financial institution. In the United States of America, the regulatory authorities that keep track of the operation of forex brokers and certify courses offered by them are the Securities and Exchange Commission, the Chicago Mercantile Exchange, the Chicago Board of Trade, the Financial Industry Regulatory Authority, the Futures Industry Association, the National Futures Association and the Commodity Futures Trading Commission. Each country will have its own regulatory boards and international courses are often certified by varied organizations. In order to complete a forex trading course, you need to invest time and money. Therefore, you should carefully examine your commitments in terms of time and cost, as they can vary widely, before choosing the best online forex trading course. The advantage of choosing to do an online course is that you don’t have to shell out several thousand dollars to get trained. Another advantage is that you can keep your day time job and learn forex trading in the evenings. Further, an online forex trading course offers you a great deal of flexibility. You can learn at the convenience and comfort of your home and at your own pace. It is important that you stay away from forex trading course providers that make very tall claims such as “make 500 percent profits in a day” and “earn guaranteed returns”. You will find the Internet littered with advertisements that use such catchphrases. You will be tempted to join the courses offered by these providers, but you should steer clear of them because anyone offering guarantees in the forex world is out there to scam you. In order to make sure that an online forex trading course is genuine, read through the terms and conditions very carefully and determine whether the promises made are reasonable. Also, double check and ensure that the certification is authentic. Of course, the best online forex trading course equips you with the information you need to successfully trade forex. However, it depends entirely on you to apply the principles and strategies you learn in order to accrue profits and achieve your financial goals. 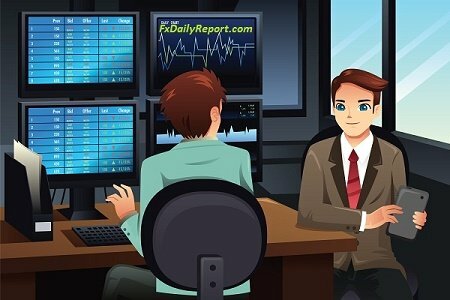 Even if you are a good at forex trading, it is important to work with a reputable forex broker. This is because associating with the right broker and building a relationship with the platform provider goes a long way in ensuring that you do well in your endeavor. This is to say that you should choose a forex broker that best suits your needs. Further, you should treat forex trading as a business. Individual wins and losses do not really matter in the short term. What is important is how your trading business performs in the longer term. This is to say that you should not become overly emotional every time you win or lose. You should be mature enough to treat each day as another day at the office. Finally, it all boils down to investing some time and effort in identifying the best online forex trading course, keeping your emotions under control and practicing the strategies you learn till you succeed.